Biocon, the Indian Biopharmaceutical giant is all set to roll out the IPO of its R&D arm Syngene International. Moreover, the company announced the fixing of the price band at Rs 240-250 per share. The public issue is going to open for subscription on July 27 and will close on July 29. 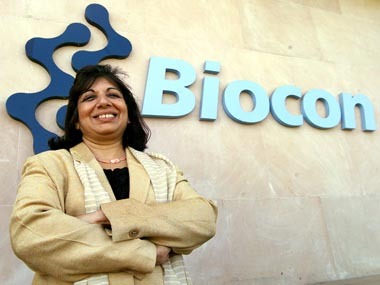 Earlier, in the month of June, Biocon had received the approval from capital markets regulator SEBI for IPO, after filing draft red herring prospectus (DRHP) through its lead merchant banker Axis Capital in April. As mentioned in the prospectus, the company intends to sell 2.2 crore equity shares, including reservation of up to 20 lakh shares for Biocon shareholders, through an offer for sale. Of the total shares on offer, 50 percent portion of this IPO has been reserved for qualified institutional buyers, 15 percent for high net worth individuals and the rest for retail investors. Syngene, with its power packed team of 2300 scientists offers integrated drug discovery and development services with capabilities in medicinal chemistry, biology, in vivo pharmacology and toxicology. Surya Narayan Patra of Phillipcapital says Syngene has been delivering steady growth. “Over last three years, its earnings CAGR has been 35 percent and over five years it has been 42 percent.” It also has capability both in customs synthesis as well as biologic services front. Phillipcapital has valued Syngene at Rs 4800 crore based on FY17 earnings.